Yesterday we marked the eleventh anniversary of the terrorist attacks that ushered in a new era of our common life as a nation. Among the powerful memories of that day, dust almost always comes to my mind first. While my imagination does conjure up visual images, this is not what grabs me. It’s not the sight but the feel of the dust--its weight bearing down on me and everything and everyone--that grabs me as a visceral recollection. This is odd, since I was not there that day. The dust of the towers never clogged my throat, coated my clothing, dusted my skin or blinded my eyes. And yet there it is. The memory of the dust covering us all that day creeps into my gut and begins to close my throat and cause tears to well in my eyes. And then again, maybe it is not so strange to have such a memory. For what I recall as dust may not be the dust of those towers, at least not their literal dust. But instead it is the dust of a grief shared as a community. We mourn the loss of lives lost in mid-stride. We share the fractured hearts of those left behind to walk ahead on life’s path alone when they had grown so accustomed to walking in step with another. We mortals all go down to the dust. If that were our final word, we would be a pitiable creature, a creature destined to disappear in the dust. But we followers of Jesus remember that God breathed life into dust and made Adam. And yet more remarkably, when Jesus himself went down to the dust, the Holy Spirit raised him to a life utterly beyond the dust. And by grace, through faith, we are heirs not of the dust, but of this life eternal. May God grant rest to the souls of all the departed and mend the broken hearts of those who mourn. I’m going to turn now from theological reflection to news about some exciting additions to the diocesan ministry team. First, The Rev. Deacon Bette J. Kauffman has accepted my call to serve as Archdeacon. An Archdeacon in this sense is not a Canon to the Ordinary. Instead, Archdeacon Bette (formally speaking, Archdeacon Bette J. Kaufman, Ph.D.) is the convener and coordinator of the community of Deacons. This is a non-stipendiary position in keeping with Archdeacon Bette’s role as a deacon. Next, The Rev. Ron Clingenpeel has accepted my call to serve as my Deputy for Transition Ministry. This position serves clergy deployment, and Ron will work with our clergy, our congregations, and Transitions Officers from around the Episcopal Church. Fr. Ron has graciously agreed to work on a contract basis that will save the diocese tens of thousands of dollars. Additionally, The Rev. 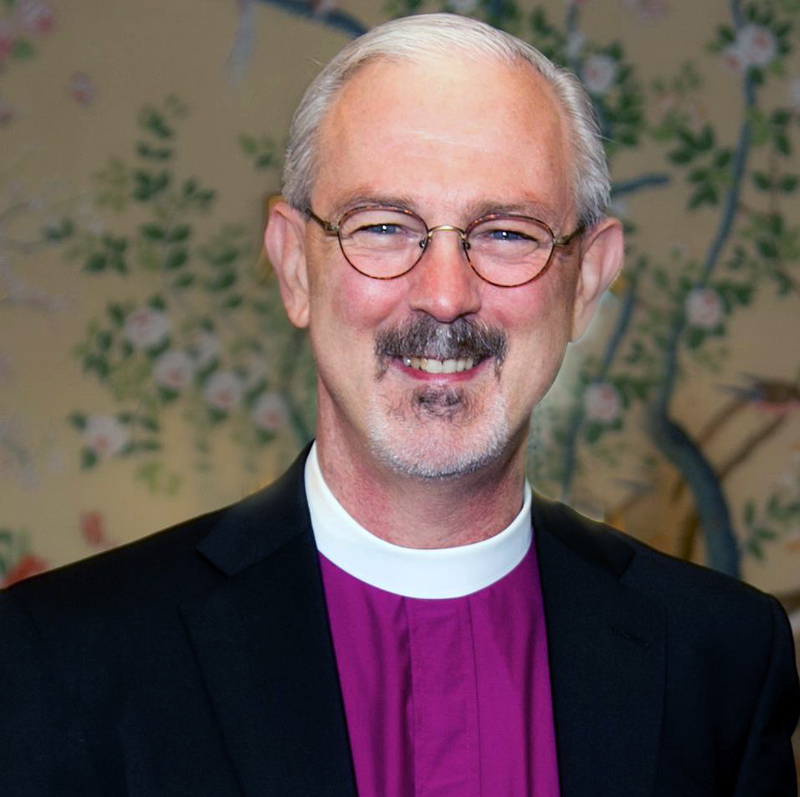 Bill Bryant has agreed to serve on a part-time basis as the Canon for Congregational Vitality. Naturally, he will only begin this role once he ends his tenure as Interim Rector of St. John’s, Minden. Fr. Bill will be a resource for enhancing congregational vitality and will be instrumental in helping to develop our program for congregational vitality through the Diocesan School. While budget realities are not yet completely clear, I am beginning a search for a full-time Canon for Christian Formation, Youth and Young Adults. These ministries are very important to congregational vitality, and a diocesan resource and support person would be a tremendous help in increasing our effectiveness in these ministries. Here are some reminders. Facebook friend request me to keep up with diocesan doings. Check out my blog (http://pelicananglican.blogspot.com). My audio sermons are at http://sermon.net/bishopjake. On Wednesday, September 19, I will have my first book signing at St. Michael’s, Pineville at 6:00 p.m. Connecting the Dots is available through Amazon and the online store at Barnes and Noble. I’ll have some copies for purchase at the signing. Proceeds of that signing will go the outreach ministries of St. Michael’s. That’s all the news for now. By now I hope it’s not news to hear that my love for you grows every day. It is simply a joy to serve such loving, faithful people. I am blessed beyond measure to be your bishop! Check out my blog at http://pelicananglican.blogspot.com. You can subscribe to the blog and receive an email with each post.